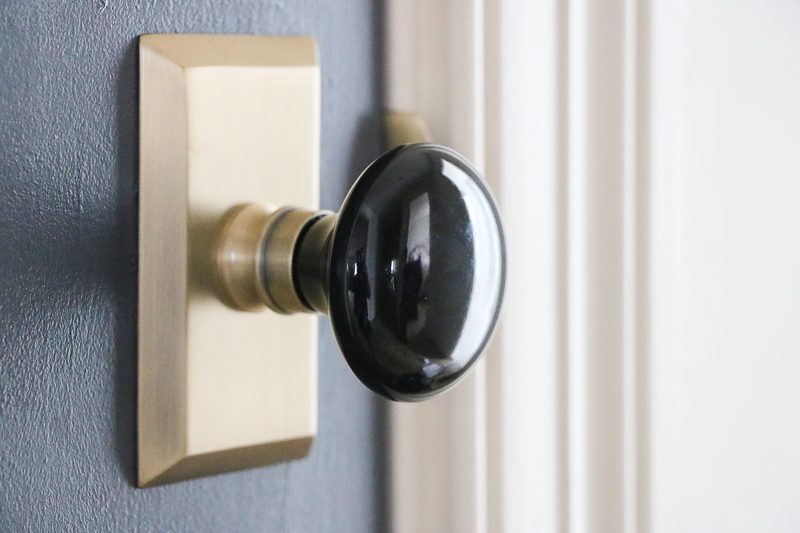 How to Install New Door Knobs - Sincerely, Sara D.
I am absolutely IN LOVE with our new door knobs, and today I am going to show you how to install new door knobs with Nostalgic Warehouse. The first knob took me a little while to figure out, but after I got the hang of it, it really was easy (by the end I was able to install the knobs in under five minutes). 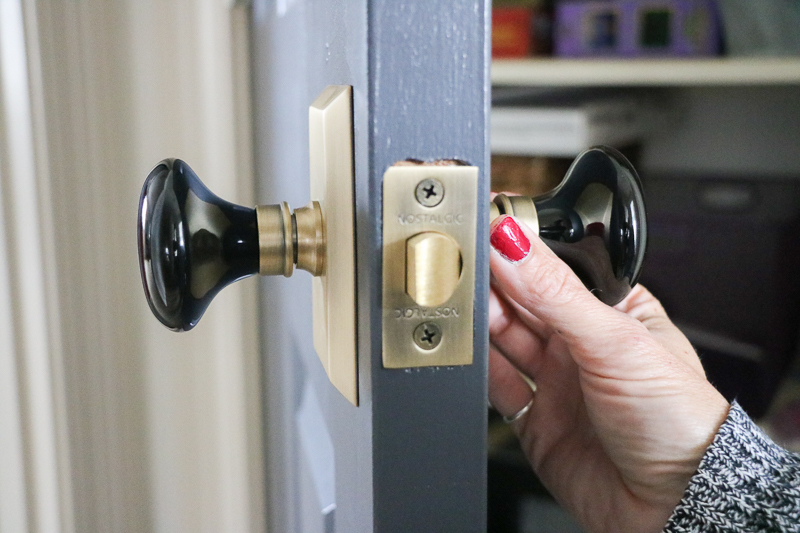 I am sharing a video tutorial for how to install a door knob (and I also have a written tutorial if you prefer that route). 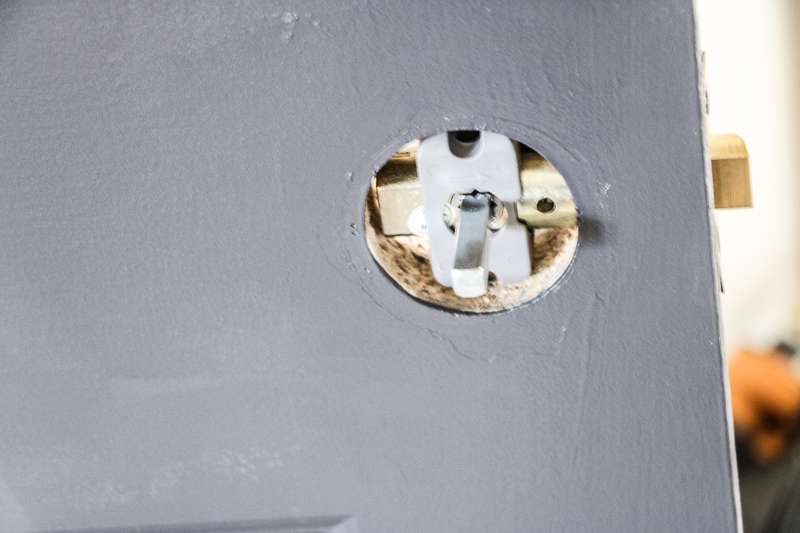 To begin, you will want to remove the old door knob. 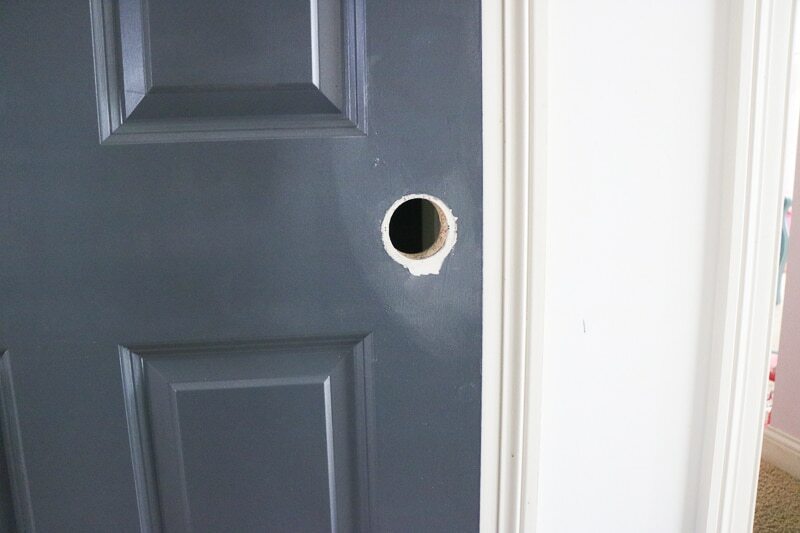 This is fairly easy and will require removing some screws. 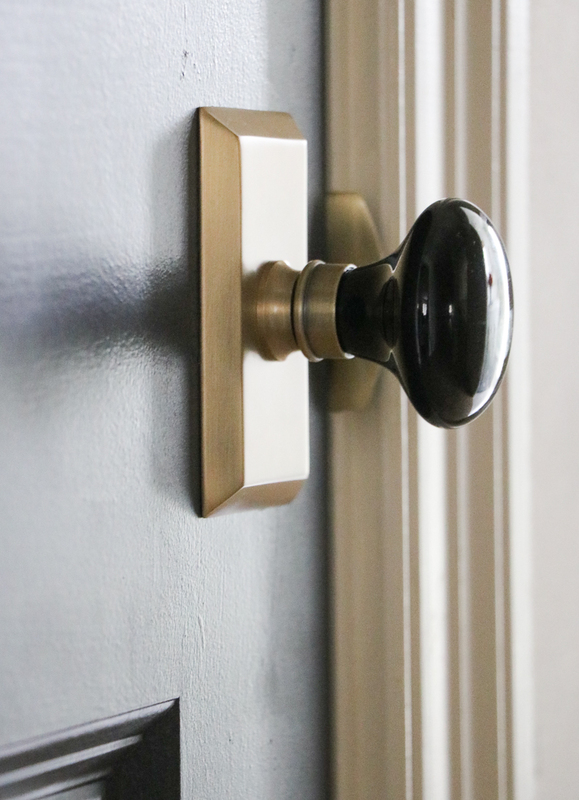 You may want to sand and paint the area where your old door knob was in case your new knob isn’t the exact same size. 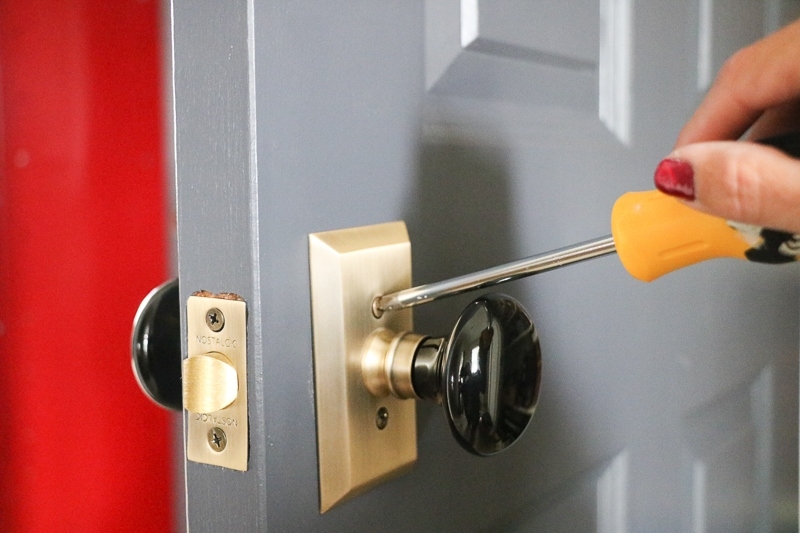 Install the anti-r0tation block (make sure the arrow points towards the side of the door that opens and shuts), the latch tongue and the spindle. Use two screws to install the faceplate and be sure to use a hand-held screwdriver. 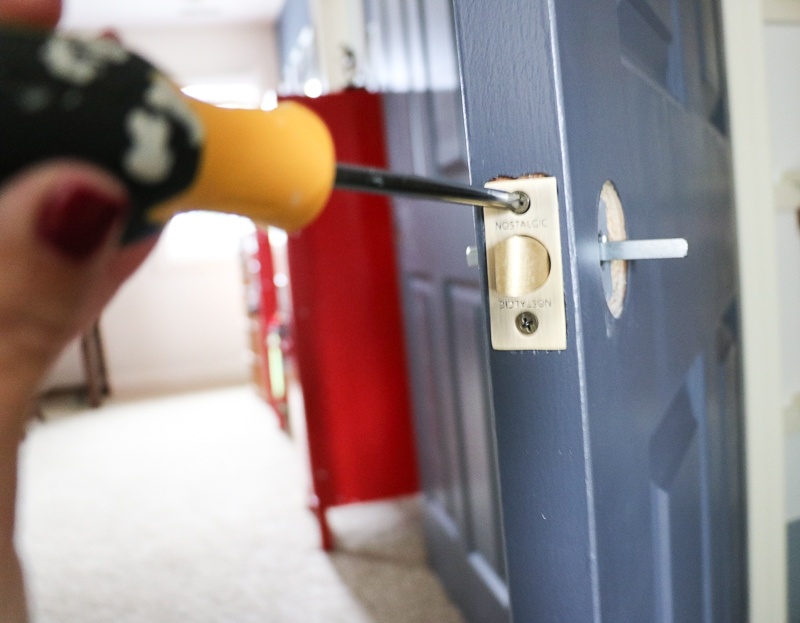 Once the door knobs are installed (and make sure you use a hand-held screwdriver for all steps), then the last thing to do is to install the new strike plate. 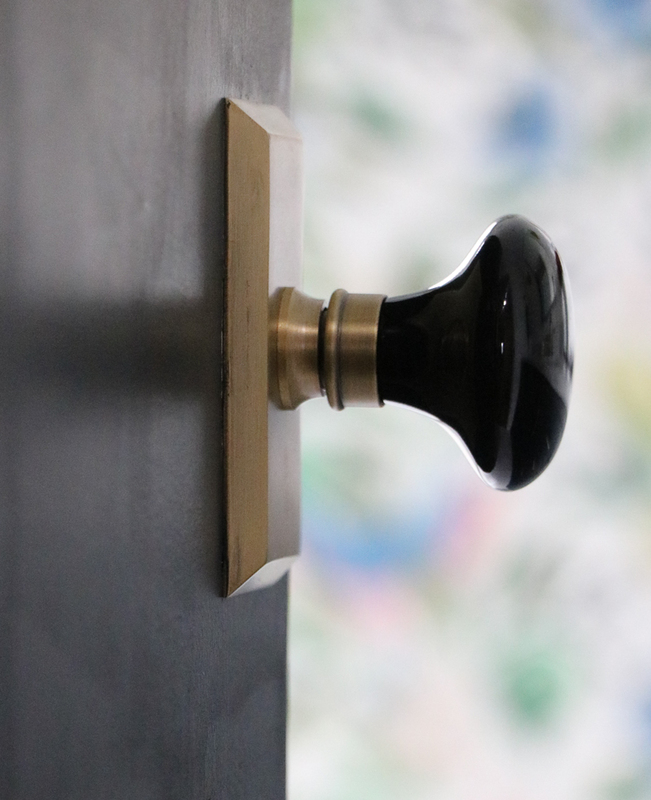 On my doors, I used Nostalgic Warehouse’s Studio Short Plate in Antique Brass with the Porcelain Knob in Black. I love their elegant and timeless look – something I am always trying to achieve in my home decor style. 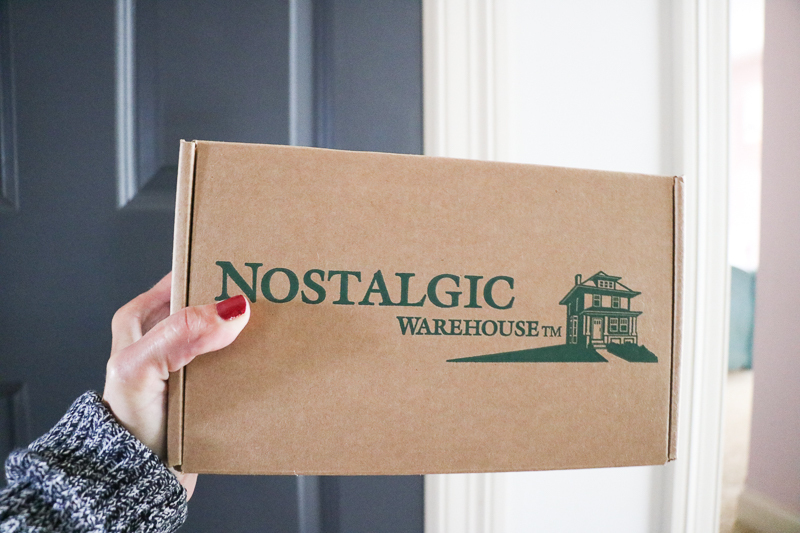 This post is sponsored by Nostalgic Warehouse. All thoughts and opinions are my own. Beautiful I have glass knobs but the knobs get loose and wobbly or they get too tight it won’t turn. I got locked in my small bathroom once .